Elaboration on Quickplay & Competitive: Quickplay matchmaking times will be shorter with less emphasis on skill. Control winning score is now 100 (up from 75 in the beta) and mercy rule requires a larger points gap. Competitive will have a slower matchmaking time, but will emphasize on matching you up with players in your skill range. Updates to the PC beta include: Removal of infinite super glitch, removal of warlock glide glitch, removal of infinite grenades glitch, warlock melee range brought down to match all other classes, reduced time of super recharge, increased grenade damage in PVE, increased power ammo drops in PVE (yellow bar combatants now drop power ammo guaranteed. Bungie said you can farm the ammo). 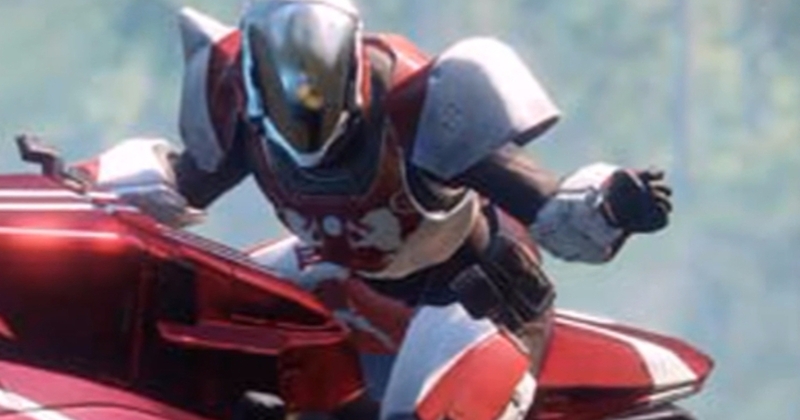 The video for the competitive crucible showed off what looks to be a titan with the Taikonaut helmet, and the SUROS legendary scout rifle from Armsday leading people to believe that some, if not all, exotics will be returning to Destiny 2. Sugar Rush Not only do we have Rockstar energy drinks, but Pop-Tarts are the latest powerups guardians around the world are using to get energy crashed and burned. Per reports, the Pop-Tarts will get you XP bonuses and the Rockstar cans will get you legendary gear. Hey I Have Internet, Can You Give Me A Sparrow? Virgin Fibre customers have an exclusive sparrow. Discussion on the slippery slope we’ve been taking. Frank D. – I’ve heard you talk a lot about the upcoming beta, but what about the McFarlane Destiny toys? Marries with a teenage son with a rottweiler. Currently residing in Halifax, Nova Scotia. Member of #thepond, #thepizzaparty and #TeamSSG. His stream is called The Caribou Crew and anyone that follows his stream is considered to be an Honorary Canadian!